Arnold Schwarzenegger has revealed that he has started filming on Terminator 6. In addition to being one of the most legendary action stars of all time, Schwarzenegger was also the governor of California for two terms, 2003 to 2011, and put a major focus on the environment. The actor and former governor usually makes it to the annual Climate Pacific Partnership, but couldn't make it this year due to his Terminator 6 commitments. We've seen pictures of Linda Hamilton on the set, but we have yet to see the return of Schwarzenegger. Arnold Schwarzenegger couldn't make it to the Climate Pacific Partnership conference in Fiji, but he recorded a video for them, which is where he revealed that he's currently filming Terminator 6. Filming is still underway in Komárom, Hungary, but Schwarzenegger has yet to be spotted on the set. It's believed that the production will soon head back to the United States after the shoots in Hungary and Spain, so hopefully, a few leaked pictures of Schwarzenegger will show up online in the coming weeks. Arnold Schwarzenegger has been trying to bring more attention to our environment and the human impact on it since before he even got into politics. He's used his celebrity to bring awareness about global warming and its effects on the Earth, which is why he was scheduled to appear at the Climate Pacific Partnership conference in Fiji over this weekend. While his political pursuits are still very important and admirable, there are many fans that are happy that he's back on the set for Terminator 6 with Linda Hamilton. Arnold Schwarzenegger underwent emergency heart surgery at the end of March and has since made a full recovery. While recovering, he has posted several videos online criticizing President Donald Trump and his administration. The actor even joked that Terminator 6 was going be about going into the future to rescue Trump from prison. The two have been trading insults publicly ever since Trump started campaigning for president, but Schwarzenegger has been much for vocal about the job that Trump has been doing running the country, often referring to him as a Russian puppet. Terminator 6 will open in theaters November 22nd, 2019 after getting pushed back from its original release date of July 22nd, 2019. At first, it was believed that the scheduling change was due to Arnold Schwarzenegger's emergency heart surgery earlier this year, but the studio maintains that the decision had been made before the surgery. Regardless, fans of the franchise are just happy to know that James Cameron is back on board with Schwarzenegger and Linda Hamilton. 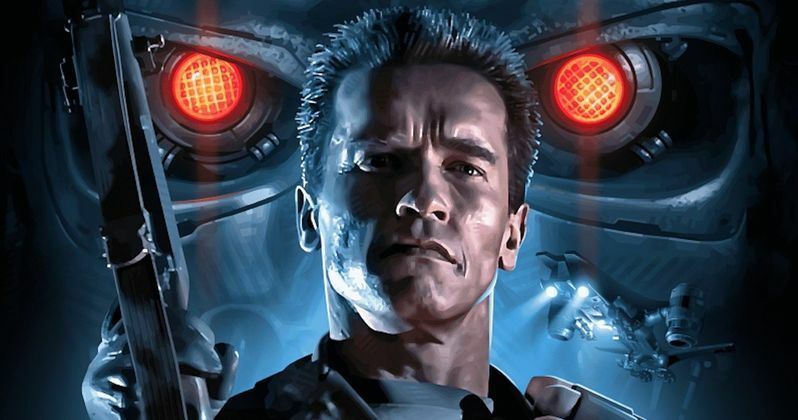 Terminator 6 is being promoted as a direct sequel to Terminator 2: Judgement Day, which also has fans extremely excited since the recent movies haven't been very well-received at all. You can check out Arnold Schwarzenegger's video message to the Climate Pacific Partnership, where he announces his return to the Terminator 6 set below, provided by the Fiji Village YouTube channel.